Air Miles has lowered the value of miles in its vacation package category by about 20 per cent. It made the move without informing its collectors. Air Miles collectors will now need to cough up more miles when booking vacation or cruise packages. That's because the rewards program has lowered the value of miles in the category by about 20 per cent. The program made the move without informing its collectors. Collector Allison Peters only found out because she tried to book a vacation package to Mexico. Between the time she researched the trip and finally was able to contact Air Miles by phone to book it, she discovered her trip would now cost much more. "I was surprised and then I was angry," says Peters. She estimated the more than $11,000 worth of miles she had to book a trip suddenly plummeted to a value of about $9,000. "I feel like they've stolen over $2,000 of available travel to me," says Peters, who lives in Victoria. "I'm really unimpressed." Air Miles told CBC News Friday that it adjusted the pricing for vacation packages because this is a "subsidized" rewards category requiring a higher level of customer support. Customers can't book vacation packages online. They must contact the program by phone. That has always been the case. Making up a $242 million US shortfall? Peters believes Air Miles devalued some miles to make up for lost profits when its owner, Toronto-based LoyaltyOne, cancelled its controversial expiry policy last month. "This is just another way for them to make some money that they were looking to make from the expiry," she says. Before it cancelled its expiry policy, all unused miles older than five years were set to expire on Jan. 1. Air Miles started in Canada in 1992. Yesterday, LoyaltyOne's parent company, Texas-based Alliance Data Systems, reported in a financial statement that LoyaltyOne's revenue fell by 32 per cent in the fourth quarter. It said cancelling its expiry plan cost the company $242 million US — money the company had determined it would have gained from collectors who let their miles expire on Jan. 1 rather than redeeming them. 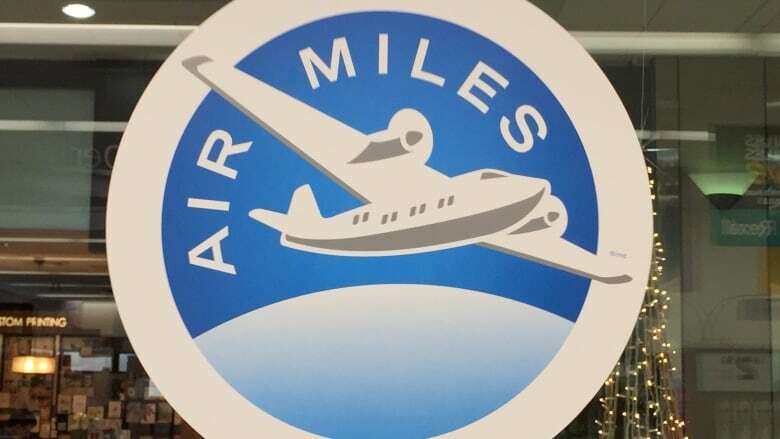 "Going forward, we will need to rework the Air Miles reward program to replace the lost economics," said Alliance Data's, CEO Ed Heffernan in a statement. One way to do that is to devalue miles. Air Miles told CBC News it hasn't lowered the value of miles in any other category and gave no indication what else it would do to make up the shortfall. The program added that only 1.6 per cent of its collectors redeem miles for vacation packages in its "dream rewards" category. Peters says she's speaking out about her experience because she wants other collectors to know that Air Miles has devalued vacation package miles. She says it took her five phone calls over four days, speaking to different Air Miles employees before a supervisor finally confirmed to her the details. "This is a substantial shift and it was like going through a fortress to get the information I was after," says Peters. After complaining that Air Miles put no information in writing, she says the supervisor told her that "it is their policy to be able to change their program at any time without notice to the collector." Air Miles told CBC News that its agents who help members book trips have been very clear about the value of miles in the category. It also said that collectors can use a calculator on its website that will tell them the value of vacation package miles. After Peters expressed her concerns to the program, Air Miles allowed her to book her Mexico trip using miles based on their original value. But after all she's endured, she's still considering leaving the program. "I'm not sure it's worth it," says Peters.